Dr Morgan-Guy, formerly a lecturer at Lampeter University, has researched this fascinating story of an Anglo-Catholic aristocrat who unexpectedly inherited Rockingham Castle in Northamptonshire. 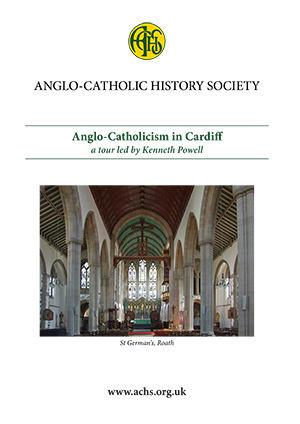 Kenneth Powell describes the churches visited on an ACHS tour to Cardiff in April 2018. Also included is much background and historical information. This joint venture between the ACHS and the parish marks its 150th anniversary in 2017. St Silas was an exemplar of Anglican Papalism in inner London. 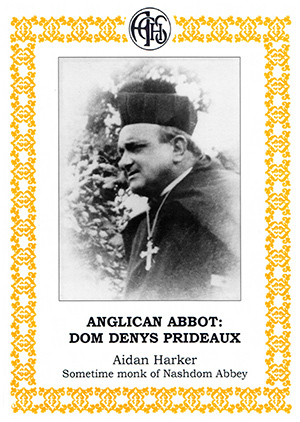 Dom Denys Prideaux (1864-1934) was the first Abbot of Pershore, later Nashdom Abbey and was in effect the re-founder of the Benedictine Community on Caldey Island after the majority decided to leave the Church of England and be received into the Roman Catholic Church. This book is the first detailed study of Dom Denys’ life and work and is based on his hitherto forgotten papers found by the author, sometime a monk of Nashdom, in the basement of the Abbey. These papers enabled the author to prepare an appreciation of Dom Denys’ work and influence based on original sources and is a significant contribution to twentieth-century Benedictine history. Peter Anson is a name which is familiar to many. The first Occasional Paper published by the ACHS was devoted to him, and his books have illuminated many aspects of the modern Anglo-Catholic Movement. The Society was contacted by Alan Robinson with the welcome but unexpected news that he had an unpublished typescript given to him by Anson. It is clear that it is unfinished and that originally the author had intended to carry it through to cover the period after the Second World War. However, as with many of Anson’s works, he abandoned it part way through. It still seemed to be was worthwhile publishing. It has been edited by Michael Yelton to update various temporal references and the like. The thanks of the Society are extended to Alan Robinson for his generosity in allowing this interesting piece to see the light of day. This is the latest publication of the ACHS. 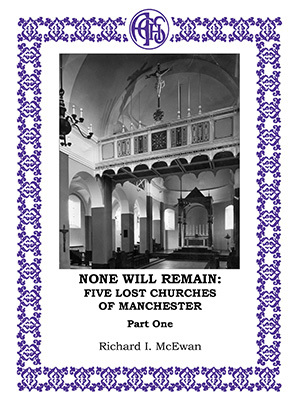 It is a study of the rise and fall of five significant Anglo-Catholic churches in inner-city Manchester. The author has based his study on primary sources and tells a compelling story of the origin, flourishing and decline of these churches. All were built in the late 19th century to serve the poor in Manchester and illustrate the fate of a now vanished ecclesiastical type ‘the Anglo-Catholic slum church’ in the inner city. In this well-illustrated book Michael Yelton paints pen pictures of another 12 churches in London which once taught Anglo-Catholicism but now, for various reasons, no longer do so, usually because they have ceased to function or been demolished. It is a sequel to his earlier book published by the Society, which rapidly sold out, so early purchase is recommended. Churches featured are: St John the Divine, Balham; St Peter, Limehouse; St Jude, Gray’s Inn Road; St Saviour, Poplar; St Thomas, Acton Vale; St Columb, Notting Hill; St Clement, Barnsbury; St Thomas, Regent Street; All Hallows, Southwark; St Andrew, Battersea; St Hugh, West Bermondsey; Lady Margaret Church, Walworth. The description of each church has the historical perspective expected of the writer and there is much information about the clergy who served the churches. 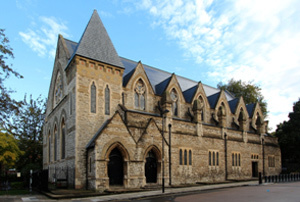 Again, those selected were chosen to cover a wide geographical area and to include some which are well known former citadels of the Faith, such as St John the Divine, Balham, St Peter, Limehouse, and St Saviour, Poplar, and some which are more obscure, such as Lady Margaret Church, Walworth, St Jude, Grays Inn Road, and the fascinating St Columba, Notting Hill. Other churches featured are St Hugh, the Charterhouse Mission in Bermondsey, the wonderful and almost forgotten church of All Hallows, Southwark, St Clement, Barnsbury, St. Thomas, Regent Street, its namesake in Acton, and St Andrew, Battersea. This pictorial biography of the founder of the Anglican Shrine at Walsingham was first published in 2007. A new impression reprinted in 2013 is now available from the Shrine Shop at Walsingham where orders may be placed. Please be aware that the Society can no longer supply copies. Full length book published in November 2012. 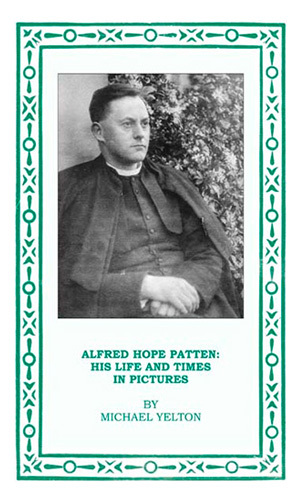 The subject of this memoir was a leader of the movement among High Church Anglicans in the 20th century who so desired reunion with the Holy See that they modelled their priesthood and church ceremonial on that of contemporary Roman Catholicism without giving up their Anglican living. 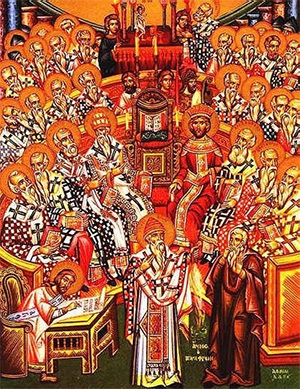 They were generally known as Anglican Papalists and their church services so closely followed Roman Catholic practice of the times as to be indistinguishable. Father Henry Fynes-Clinton (1876-1959), the leading Anglican Papalist of his generation, is still a well-known name, but there are relatively few people alive now who knew him. 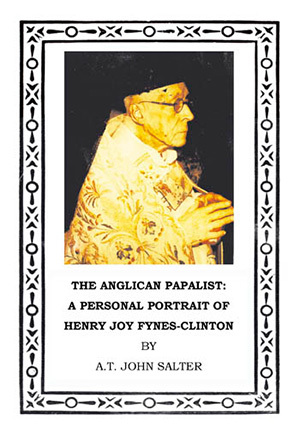 The author of this intriguing memoir, the Reverend John Salter, a retired former Anglican, now a Greek Melkite priest, did and has the advantage of personal insight into Fynes-Clinton’s long life and his beliefs as well as sharing his enthusiasms. For this book, the author has unearthed a great deal that has never been published before. There are fascinating images of his contacts in the East and of St Magnus the Martyr, London Bridge, the church on which Fynes-Clinton devoted so much care. The most interesting churches, particularly those in the Anglo-Catholic tradition, having fascinating architecture, beautiful interiors and incredible stories, tend to be ‘hidden gems’, hardly known beyond their localities. This one is in inner-city South Leeds, hidden amongst the terraced housing, where no one would visit unless they had a particular reason. The routine of parish life is much the same everywhere but the story of every parish is different. 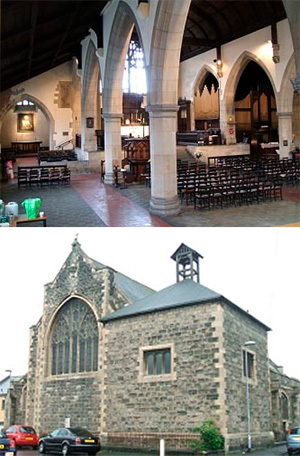 Although the development of the parish of The Holy Spirit, Beeston Hill, Leeds, might be replicated in large part in many another urban Anglo-Catholic parish in any large city, its story is unique. Social, theological, ecclesiological and liturgical developments taking place in similar parishes throughout the country find their expression here, but the specific local context is always different. Indeed, just as the local situation is inevitably affected by the national scene so might the two interact in quite unexpected ways. At the time of the terrible London bombing of 2005 who would have thought that this small parish with its tiny congregation would appear in every newspaper and be on national news proclaiming to the world an entirely positive message? The closure of any church is very sad – and rarely a sign of failure. 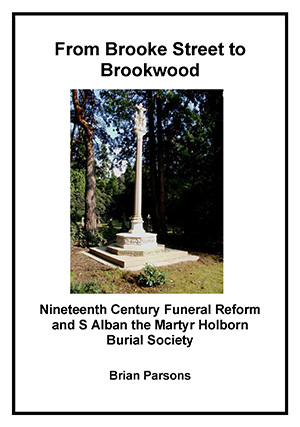 Copies available from ACHS @ £9. Please use printable order form available here. 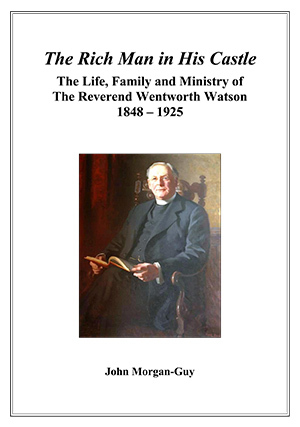 This new book, written for the Anglo-Catholic History Society, by Bishop Frank Sargeant, former Bishop of Stockport, and Bishop at Lambeth is an investigation and commemoration of the life and writings of Canon Peter Green, once described as ‘the greatest parish priest of the twentieth century’, who died 50 years ago, on 17th November 1961. 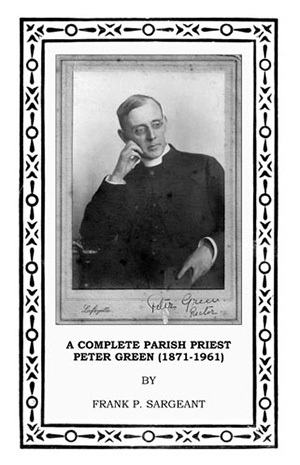 Peter Green was a Prayer Book Catholic who ministered at Sacred Trinity and then for many years at St Philip, Salford, while serving for 50 years as a residentiary canon of Manchester Cathedral. He refused a number of appointments to bishoprics and spent his career ministering to his poor parishioners in Salford. The social conditions have changed considerably in those parishes in Trinity Ward where poverty, drinking and gambling were then rife. However, as Green asserted, the Christian Faith is a constant to be applied to everyday life. So the book endeavours to trace what Green said in his 38 books about Catholic doctrine, the devotional life, and Christian living, in the hope that readers will find a source to deepen their own spirituality. Green’s integrated philosophy of faith and life extended to aesthetics and ethics and led to prophecies relevant today, especially the effects of secularisation of society. He challenged the Church to endorse evangelistic missions for conversions and to encourage confession for restitution. The author draws on Green’s Artifex articles published in the Manchester Guardian for over 40 years and his deposited papers in Manchester Cathedral archives. The book is now out of print as a hard copy but available as an eBook. Contact Amazon for a Kindle edition here. 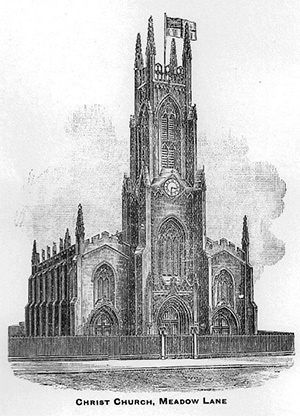 Churches in Leeds were built by some excellent local architects and by the nationally known great names. Anglo-Catholic priests have tended to work in the poorer areas of industrial cities and so the fine buildings there have been vulnerable to closure and possible demolition when redevelopment has occurred. Fortunately many wonderful church buildings remain throughout the city. This book tells the story of five of the lost churches of Leeds: St James, St Barnabas, Christ Church, St Edward and St Margaret. There are some surprising items here – and some wider issues viewed from a local perspective. 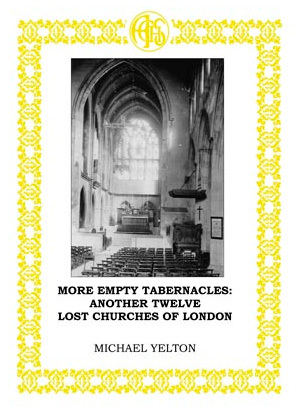 It is intended as a companion volume to Michael Yelton’s Empty Tabernacles: Twelve Lost Churches of London - and “...perhaps others could be encouraged to write about such lost churches in other parts of the country before they are forgotten entirely”.